In a move that has already made the government employees see red, the state government has carved out seven zones and two multi-zones with a view to making administration hassle-free and helping the employees . Under the proposal, which will be sent to the President soon for his assent, Hyderabad has now been made part of zone VI. Employees working in Hyderabad, a free zone for jobs till August 2011, will now be at a disadvantage as they can be posted anywhere in the four districts which form part of zone VI under Charminar nomenclature. 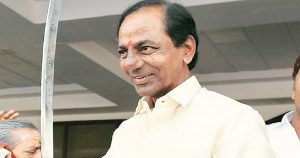 The new zonal system was decided by CM K Chandrasekhar Rao at a review meeting at Pragathi Bhavan on Thursday and it was agreed that a meeting will be held at Telangana Gazetted Officers’ Bhavan on Friday to discuss the implications of demarcating 31districts into seven zones and two multi-zones. On his part, the CM defended the move saying it was meant to benefit the employees. “The new zonal system has been formulated to benefit employees of Telangana as well as to see that injustice meted out in unified AP is not repeated,” the CM explained. The move was in tune with providing adequate benefits to those living in their areas and also against the backdrop of formation of smaller districts, he reasoned. The CM said that he would personally monitor the process and will see to it that the new zonal system comes into effect at the earliest. Official sources said certain cadre employee in different zones can now opt for postings in the two multi-zones. After Friday’s meeting, the employees’ views will be conveyed to chief secretary SK Joshi. Sources said the cabinet will meet to consider the proposal and after the cabinet’s approval, it would be forwarded to the President. Senior officials surmised that following the formation of Telangana state and reorganisation of districts, the new zonal system was inevitable. But, the move has upset the employees to no end. “The idea is not acceptable to us. Hyderabad should be a separate zone,” SM Hussaini of TNGO union, Hyderabad district, told TOI. “People who were born in Hyderabad and families which have settled down in Hyderabad will be at a disadvantage because of the new zone as they can be posted anywhere in the four districts instead of only Hyderabad. We are holding a meeting on Friday, he said. The employees are contemplating constituting a JAC and discuss it with the CM.